Ancient Roman Blue Cobalt Glass 100 B.C. – 100 A.D. Ancient Roman Blue Cobalt Glass 100 B.C. – 100 A.D. modern reconstruction. Tear-shaped blue cobalt glass is very prized and has interesting magical qualities that the rounds don’t have — not better, just different. 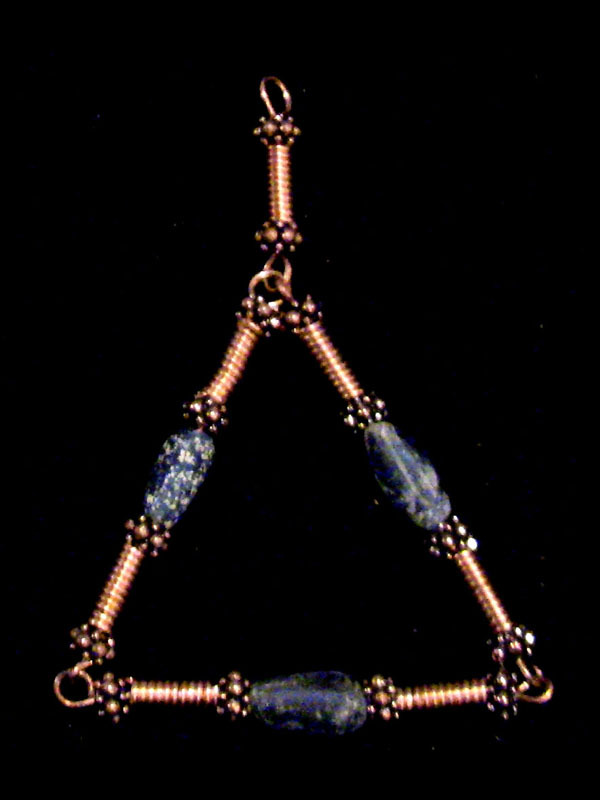 The longish copper coils add to the generally largish size of this Triad, rebuilt with modern copper so it can be used by healers and those seeking Portals and Gateways.